Making the right decisions on visual communication elements can have a huge impact on your marketing strategy, and SpeedPro Imaging Lexington North is suited to help you through the process. We’ve been assisting local businesses in Lexington, Georgetown and Nicholasville for years, and we’ll gladly assist you with crafting a vibrant set of business window graphics that can be attention-grabbing and informative. We’re well-versed in the large format graphics industry, and the unique experiences we’ve acquired throughout our time will help us craft personalized solutions for your project’s needs. 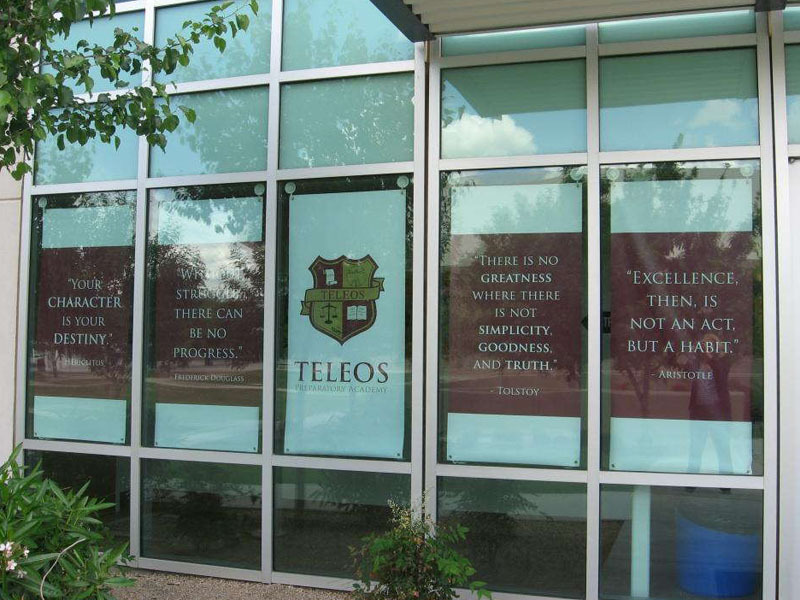 Whether it’s to generate leads, attract foot traffic or gain privacy, our custom window graphics will get the job done. We’re committed to offering you graphics that instill a sense of ultimate satisfaction, and we’ll do that through collaborating with you heavily during the entire process, from conceptualization to surveying to installation. Our product catalog has plenty of options available to you, and we’ll walk you through them all. We’ll discuss the positives and negatives of each one in detail so that you feel comfortable with the recommendations we make. Frosted or image window graphics: The two types of vinyl we offer for this option are calendar and cast. The graphics, depending on your choice, can be finished in matte, gloss, etched, dusted, frosted or clear. They can be straight or contour cut. 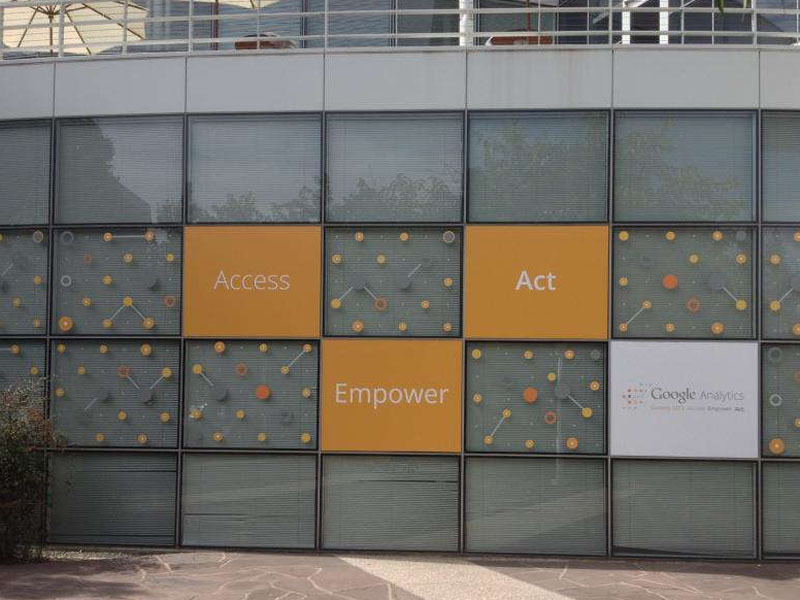 Display your logo with vibrant, high-resolution images, or frost the glass walls and doors of your office to add privacy. Window perforated film: Our perforated films are often used as storefront window graphics, but they can also be placed on doors and car windshields. The films produce solid, clear images on the outside of the surface while simultaneously reducing exposure to bright light and increasing privacy for your workers. They can also block out undesirable scenes like alleyways. The vinyl-to-hole ratios we offer are 50/50, 60/40, 65/35 and 70/30, which can be adjusted based on your desired level of transparency. Window clings: Clings are often small and temporary, but they provide a big impact for the duration of their lifespan, which can be used to promote sales and events. You can apply them to surfaces using static cling or adhesive, and they can be placed on the exterior (first surface) or interior (second surface). They can be single- or double-sided. 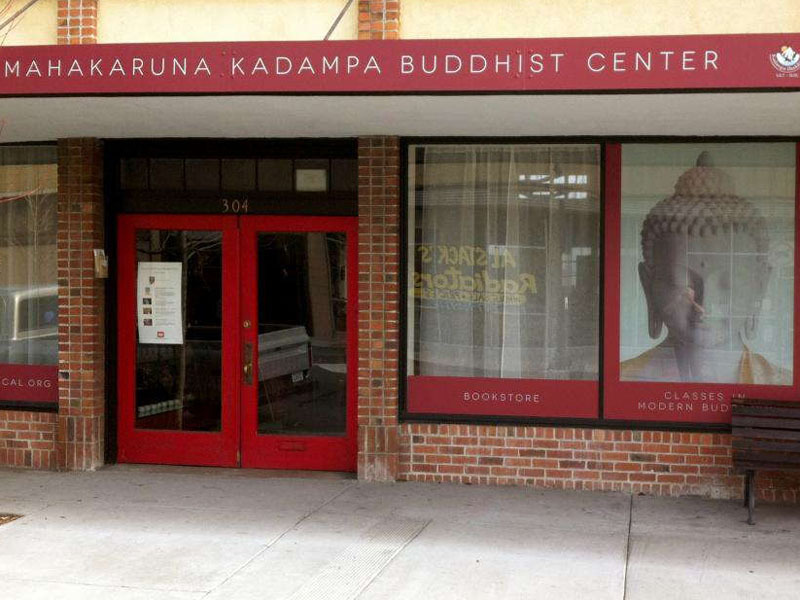 If you’re ready to revolutionize your building with custom window graphics, contact us right away to set up your consultation. If you’d like to meet in person, you can stop by our studio on Nandino Boulevard, which is just off of Georgetown Road in Lexington.